Some of the team last year attended Hosting Con 2012 in Boston, it was a great event and so this year I was given the opportunity to attend again. There are a number of reasons a Cloud and Web Hosting company in Australia might want to attend a US based hosting industry conference. Attend the varying educational sessions to get real world information from people in the industry. Networking with people in the industry whether they be other hosting companies, data center providers, software vendors, hardware vendors or some other area. Find new companies that can offer services, products or tools that we can implement to improve our customers experience. Meet with existing suppliers whom we already do business with. On top of that, I was personally given the opportunity to participate in one of the education sessions. It was a discussion panel with the topic of “Eliminating Noisy Neighbors and Optimizing Performance in the Cloud”, I have talked about the panel further in another blog post. 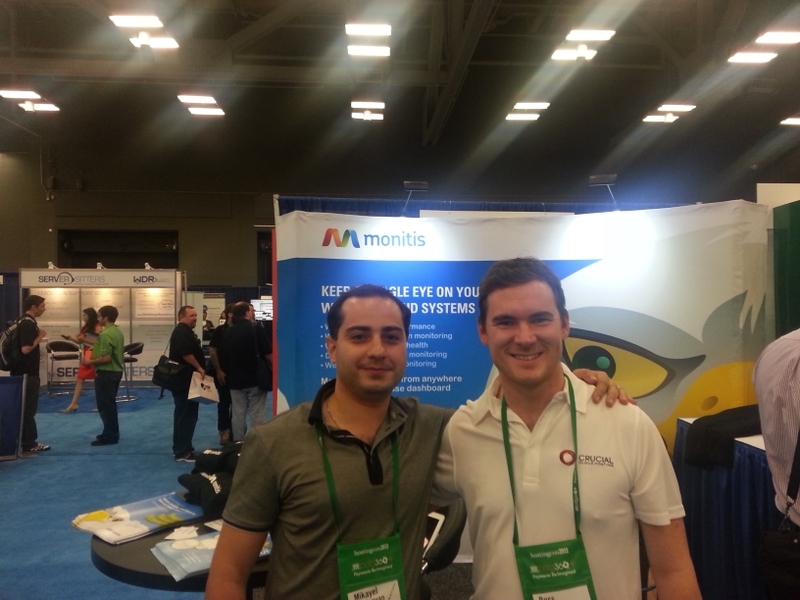 In this blog post I will be talking about my experience at HostingCon 2013 and what some of the key takeaways were. There was a number of different discussions about security concerns from hosting companies, and their customers. This included security with software such as cPanel, security with Cloud platforms, security from a DOS protection point of view. There are a lot of layers to consider when assessing the security of a cloud or hosting platform. During these discussions feedback was provided by all sorts of providers, some small, some very large, however the story was the same. Security is a challenge no matter what layer you are looking at, and there is no one solution that addresses all the layers. A big topic was the future of the cloud, this included discussions about PaaS and SaaS solutions becoming a focus. Another key discussion was about bridging the gap for internal I.T infrastructure to be moved to the cloud, including considerations from a networking, security and performance stand points. 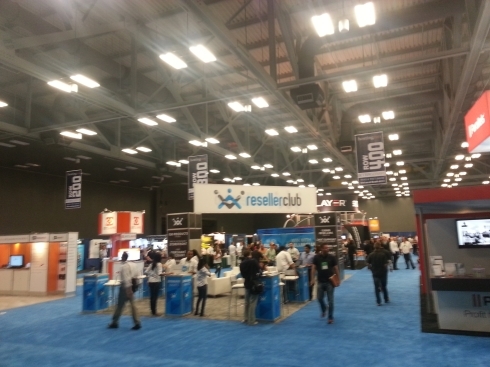 During my time at HostingCon 2013 I participated in a number of networking events. Two stood out as the most useful to myself and Crucial. Our Blaze Cloud Platform utilizes the Onapp cloud software to provide the simple and easy to use interface our customers are accustomed too. We work closely with the Onapp team to test new features, and provide feedback on new and existing features. This is all done usually by Skype and Email conversations, so heading to HostingCon 2013 was a great opportunity to sit down with the Onapp team and talk about the future. Part of what makes our Blaze Cloud platform unique is the use of the Solidfire all-ssd SAN Storage system and Solidfire were also at HostingCon 2013. Each year they run an event during HostingCon called the QoS Summit. This takes people from all over the industry, whether it be cloud providers, analysts, CTO’s, hosting companies, enterprise users or Solidfire themselves and puts them all in a room with some great food. Everyone takes the opportunity to talk about the challenges they face in regards to performance in the cloud or performance in their storage, or even a little of topic and onto subjects such as growth in Asia! It was a privilege to be involved and definitely gave me some food for thought. One of the key elements of HostingCon 2013 is the Exhibition Hall! Companies of all sorts come to show off their solutions and services to everyone in the cloud / hosting industry! However there were a bunch of others. I was able to talk with a number of companies there and will be reviewing how we can implement new solutions to our existing product base to further assist our customers with running their business’s online presence. To make the most of HostingCon 2013, I think being as involved as you can be is a good step to getting the most reward from the event. I participated in a discussion panel, sat down with suppliers for deep discussions on the future of their services and Crucial, went to a few education sessions to get a better understanding of the industry and took the time to meet a few new people and hear their stories. This event is targeted at people like myself who are heavily involved in the running and growth of a hosting company, so for me, maximizing my time their is fundamental. I also had a bit of fun knocking a few drinks back with fellow attendee’s, so overall the event was a success.